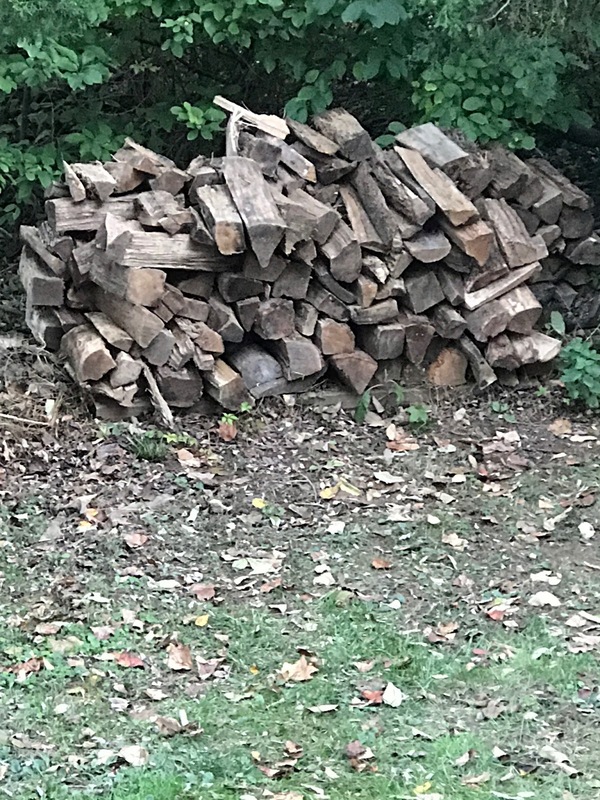 It is the time of year when preparing for the expected cold days takes precedence. While not like some homes where the primary winter warmth comes from burning wood, we do enjoy a hot fire in the fireplace to remove the chill from the family room. Call it supplemental heat. Chris and I had a half cord of hardwood delivered on Monday. 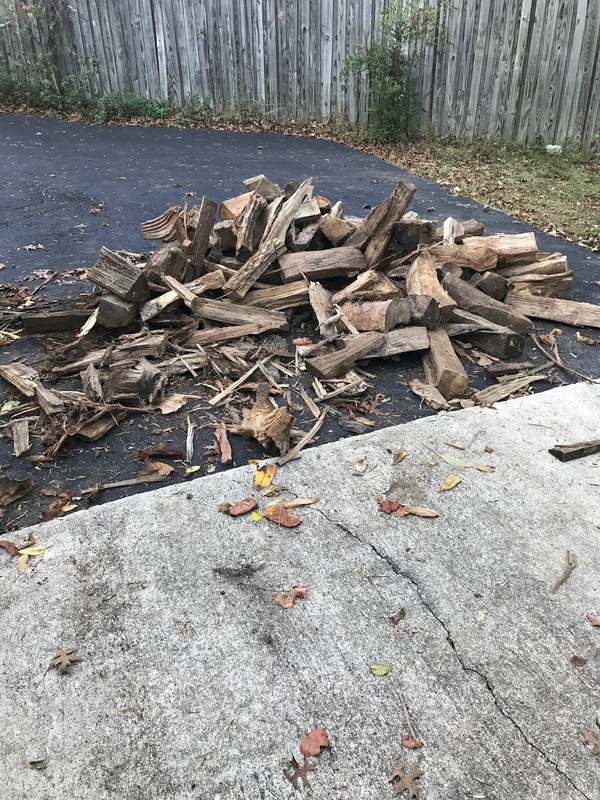 That is about all the wood we use during a season. 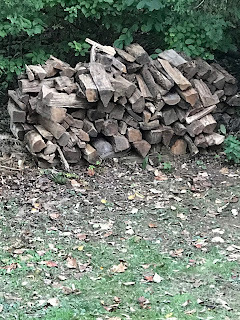 I know that real wood burning homes may use up to 5 or more cords of wood. 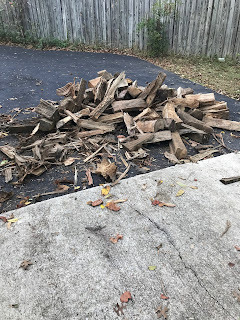 It only took me about two hours to move the wood from where it was dumped in the driveway to the growing wood pile. I was getting kinda tired at the end. Getting more ready for winter!